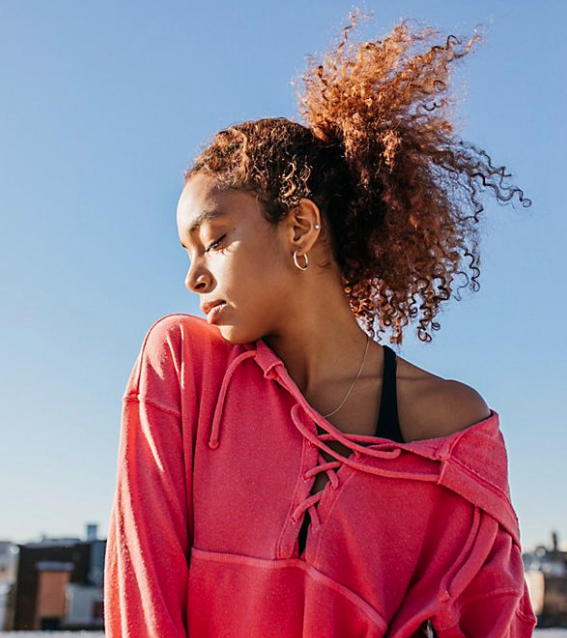 For many of us, eating and living consciously is already part of our everyday life; eating clean foods, using clean or homemade beauty and household products, incorporating yoga and meditation. But, beyond an awareness of what we consume, it’s also important that we think of the far reach of our consumption. The results of our actions and our purchases, the energy needed to produce what we consume, our waste and what we are leaving behind. I personally choose to make as much as I can at home for myself, not only because I prefer to know what exactly is in the foods and products that I consume, but I also love the idea of creating less waste, fewer things to throw away or recycle. As much as I can, I try to remove the worry about packages and boxes, cartons or wrapping. To me, the ripples and reach of my actions carries a heavy weight. Buying one box of almond milk, isn’t just about the actual almond milk inside, it’s the carton, the plastic top, the energy needed to produce and of course, all of the unnecessary ingredients being added. I started making my own nut milks several years ago, it’s a super simple process and it’s now become part of every week for me. Not only can I be sure there are no strange ingredients added, I can also control if and how much it is sweetened, I can add flavors like raw cacao or chai spices. Most especially I love how there is no waste. No packages to eventually be thrown away. 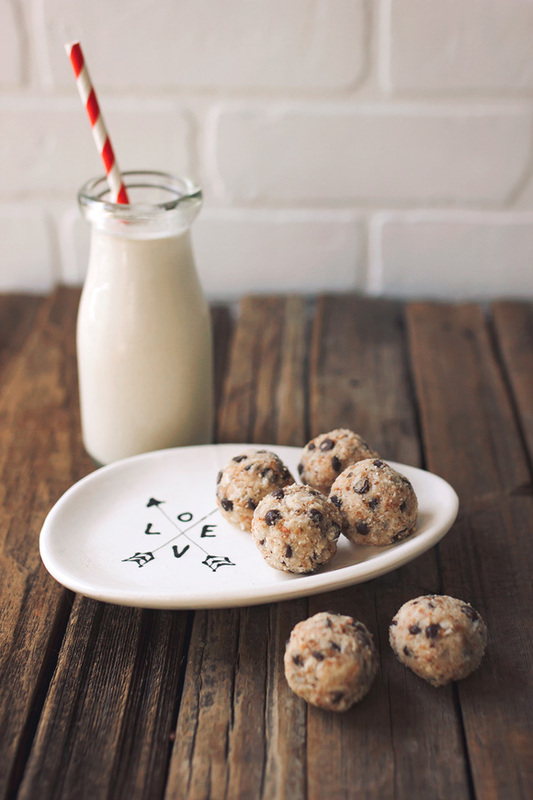 Today, not only am I sharing my recipe for my favorite Vanilla Bean Almond Milk, but I actually created a fun and simple recipe for no-bake Chocolate Chip Cookie Dough Balls with which to use the leftover almond pulp. So there is nothing to throw away, we are using every last bit! Drain the soaking liquid from the almonds and vanilla bean and rinse. Add the soaked almonds and vanilla bean to your high speed blender. Add the water, sea salt and sweetener if using. Blend until smooth and creamy. Pour into your nut milk bag and squeeze. Separating the pulp from the milk. 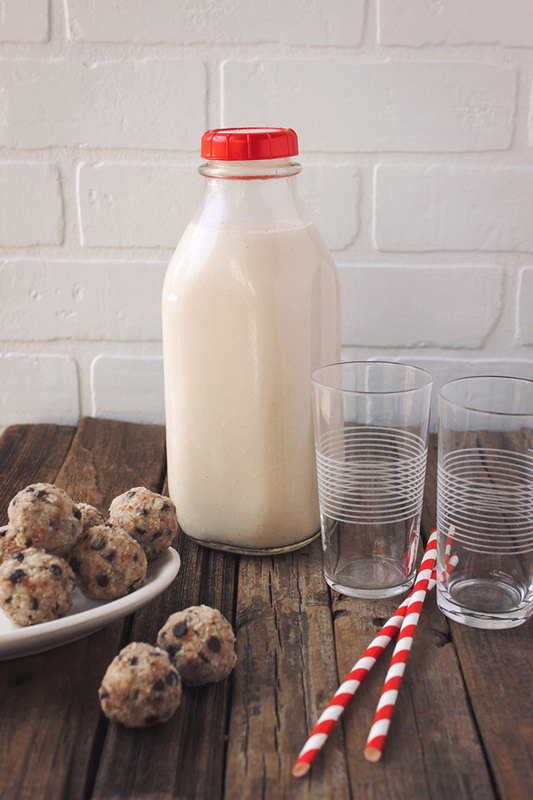 Set the pulp aside and pour the milk into a glass bottle, jar or container with a cover. Keep refrigerated for up to 5 days. 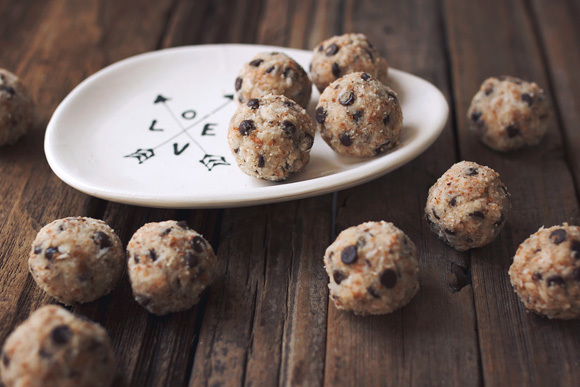 Use your hands to roll batter into balls about ¾”- 1″ thick. Place cookies on parchment paper lined cookie sheet and let harden in freezer for about 30 minutes. Store in the refrigerator in a sealed container. NOTES: It’s important that you squeeze as much of the liquid out of the nut pulp out as you can. + In honor of Earth Month, try replacing one packaged item that you typically buy at the store with a homemade version – and be sure to let us know if you do! This is fabulous – homemade is the way to go! Packaged foods are so disappointing with all of the additives ad preservatives. Mmmmm! What a great recipe, perfect for a snack, sweet side or dessert! 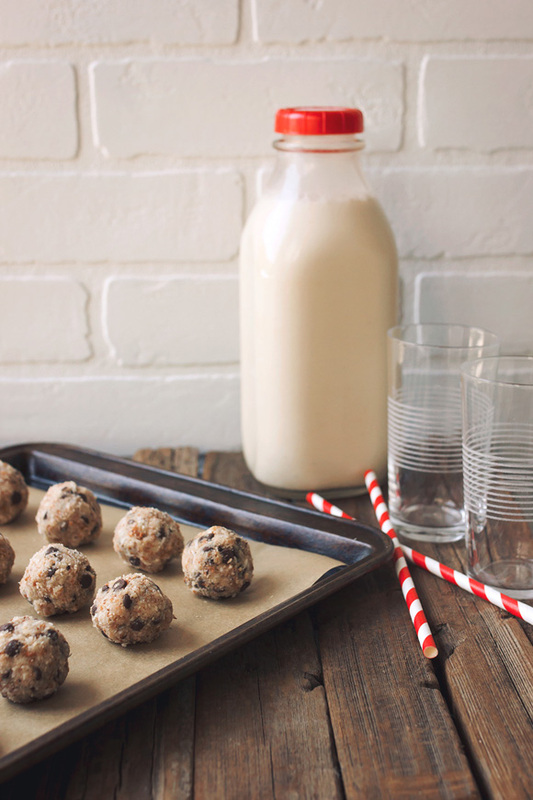 I’m a homemade nut milk convert! For all the reasons you mention plus the fact it just tastes better! sounds delicious im 11 so i hope my famliy lets me do this project i really want to try the chai flavor.